After the Macedonian dynasty, the Empire fell into a period of difficulties due to an outdated military model relying on mercenaries, and a series of threats by new enemies. In southern Italy, the Normans conquered the Byzantine lands and established a Kingdom of Sicily in 1130. In Anatolia the Seljuq Turks advanced and dealt Emperor Romanos IV a crushing defeat in 1071, which enabled them to conquer all of Anatolia. This complete fragmentation, however, was followed by the last strong Byzantine dynasty; the Komnenids. The five Komnenid Emperors presided over a sustained (but ultimately incomplete) restoration of the military, territory, economy, and political strength of the Byzantine Empire. 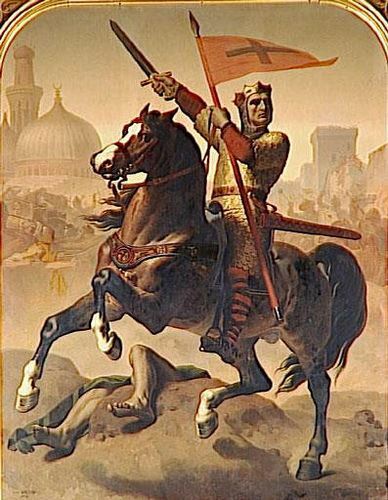 It was during the Komnenid Emperor Alexios I that the First Crusade was initiated, and John II and Manual I played important parts during the Second Crusade. After close to a century of rising fortunes, however, the Komnenid dynasty ended in a succession crisis and a popular revolt, after which a combination of gross incompetence and bitter infighting amongst the elite cause Byzantium to permanently lose financial and military supremacy.